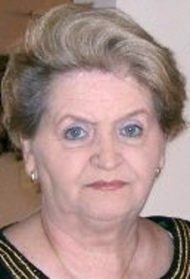 Mirjana Alessi, 82, of Mount Joy, PA and formerly of Bronx, NY, passed away peacefully on Wednesday, January 16, 2019 in Lancaster, PA. Born in Zagreb, Yugoslavia to the late Ignac and Durdica Brumen. Mirjana spent her life dedicated to working hard at the Board of Education in New York and raising her three daughters. She was a loving wife, mother, sister, aunt and friend. Her cheerful presence will be missed by all who knew her. Mirjana was preceded in death by her loving husband, Rosario Alessi. She is survived by her three daughters, Mary Ann Vicik, Susan Rivera, Debra Casanova and their spouses, her ten grandchildren, and her six great-grandchildren. A Mass will be celebrated at 1:00 PM on Saturday, February 2, 2019 at Holy Name of Jesus Catholic Church, 45 Highland Avenue, Otisville, NY 10963. Inurnment will follow in the church cemetery.